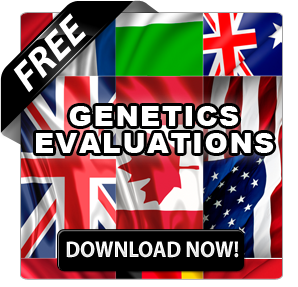 With over 300 of the top animals in the world about to be sold over the next two weeks we thought it would be worthwhile to help Bullvine readers navigate around the three main sales: the Genomic Power Sale (GPS) on November 2nd; the Genetics by Design Sale on November 6th and the Sale of Stars on November 9th. It can be hard to compare animals across sales. We compiled lists of all the sale animals and here are the lots that we will have our eye on. They are outstanding! Leading the way is none other than the #1 GLPI cow in Canada. This is only the second time that the current #1 LPI cow in Canada has been offered at public auction. The first time being when Crackholm Comestar Memory sold in the Vente Comestar Edition Sale 2000 for $77,000 to Wauregan Farms in Maine from consignors Comestar and David Crack. 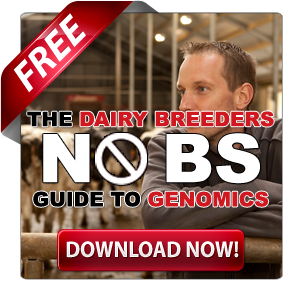 There is nothing more marketable than being #1 (Read more – The Sensational 6 North American Genomic Holsteins We Would Invest In). 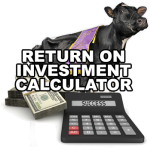 If you are looking for an investment opportunity where the work is done, and you just need to flush and make money, Lucia could be the one for you. If you want a heifer, there are 10 Lucia daughters, 9 of them over LPI +3000, also being sold in the Genetics by Design Sale. Topping the GPS sale and the highest DGV heifer available is STE ODILE MOON MODEL AMALUNA. 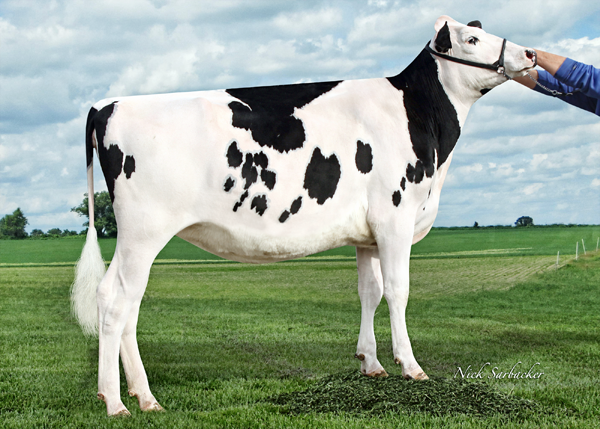 Amaluna is the #5 GPA LPI heifer in Canada. Her Man-O-Man dam is yet to classify but her 2nd dam is LES091 BAXTER MODEL RUBIS VG-87-3YR-CAN is the #27 GLPI Cow in Canada. This heifer is also the #1 DGV LPI animal that will be offered at +4188. While I will want to check out the rump on this heifer she has it all, production, durability, health and fertility as well as a very advanced sire stack, Moon x Man-O-Man x Baxter x Goldwyn. This highest GPA LPI animal in the Sale of Stars is OCD MOGUL FUZZY NAVEL. Fuzzy Navel’s dam, OCD Man-O-Man Fantom, recently scored GP-83 at 2 weeks fresh, and she will score higher. She is off to a great record so far, producing 83 lbs. milk with 3.9% fat and 2.9% protein on her first test. Navel’s 2nd dam by “Shottle”, Felic Forgive VG-85-DOM, has a record of 28,020 lbs. milk, 4.0% fat and 2.9% protein as a 3-year-old. Following closely behind Amaluna for the highest DGV LPI in the breed let alone available at public offering is OCONNORS LIVING THE DREAM. Living the Dream is the Epic daughter of the Man-O-Man sister to Planet Lucia, MAPEL WOOD M O M LUCY. She is gifted in many ways, not only is she from the Lylehaven Lyla Z family, but she also one of the highest daughters in the family for health and fertility. This heifer’s DGV’s are through the roof, with her DGV’s for all the major conformation traits being at least 1 to 2 points higher than her GPA’s. It will certainly be very interesting to see who sells for more between Amaluna and Living The Dream. The second highest DGV heifer in the GPS sale is BENNER FORK JANARDAN. 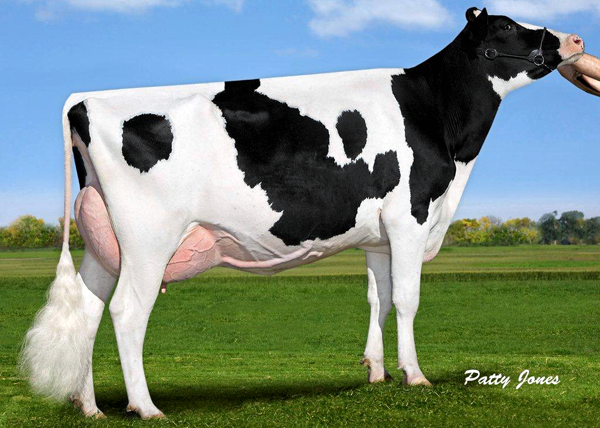 Selling open and ready to flush Janardan is from the #3 GLPI cow in Canada BENNER PLANET JAKOVA GP-83. Janardan is the #1 De-Su Fork daughter in Canada. A first choice Mogul from Janardan sold for $75,000 in the World Classic Sale (Read – World Classic 2012 Highlights). This heifer has a DGV for Conformation of +19, combine that with high production and outstanding durability and she is ready to be flushed to the top health and fertility sires, such as Lithium or Krunch to get the next great one (Read – Top 12 Genomic Young Sires To Use For Maximum Genetic Gain). The highest DGV LPI heifer in the Sale of Stars is B-S-D HUNTER PARIS 6081. Paris is the #3 GPA LPI Hunter daughter in the world. 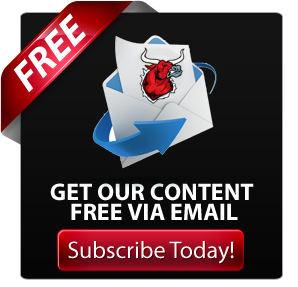 Her DGV LPI of 3513 is 321 points higher than her outstanding Parent Average. This heifer is very similar to Janardan in that she has amazing production, durability and type numbers, but could also mate well to some of the top health and fertility sires. SEAGULL-BAY SNOW DARLING is the Snowman daughter from none other than AMMON-PEACHEY SHAUNA. Darling has 4 generations of #1 TPI Sires (Snowman x Planet x Shottle x Oman). Combined with that, her dam was recently selected one of the top five most complete cows in the world today (Read – 2012 Golden Dam: The Results Are In). Here is a rare opportunity. For those of you hoping to cash in on a sleeper, there is the 1st Choice MAYFIELD from TRAMILDA OBSERVER LYNN . Lynn has a DGV LPI 472 points higher than her PA GLPI. This De-Su Observer daughter is from an outcross pedigree (Socrates x Lou x Forbidden). She is among the top 10 TPI Observer daughters in the world. Though, this balanced heifer has it all, I will be checking out her rump very closely. Catching our eye earlier this year was OCONNORS GOLDWYN JASMINE EX-92-CAN the Goldwyn Sister to Oconnors Jay (Read – The Bloom Is On Oconnors Goldwyn Jasmine). Selling in the Sale of Stars as lot 3 is her VG 2yr old daughter SUNTOR MAN O MAN JELENA. Jelena really is a great package, she has a great type and production pedigree, proven sons coming out of the family and she herself has a strong genomic test. A great opportunity to get into an emerging cow family. Maybe lost in all the great Lyla Z progeny at this sale will be WIAMY KYANA BOLTON VG-88-3YR-CAN and her daughters. The highest of her daughters is MAPEL WOOD SUDAN KAYLEIGH and she sells as lot 91. Possessing a little bit of an outcross pedigree (Sudan x Bolton x O Man) for most Canadian pedigrees this heifer has strong production, durability and health and fertility numbers. I will be watching to see if her rump and dairy strength are enough to potentially go VG as a 2yr old. 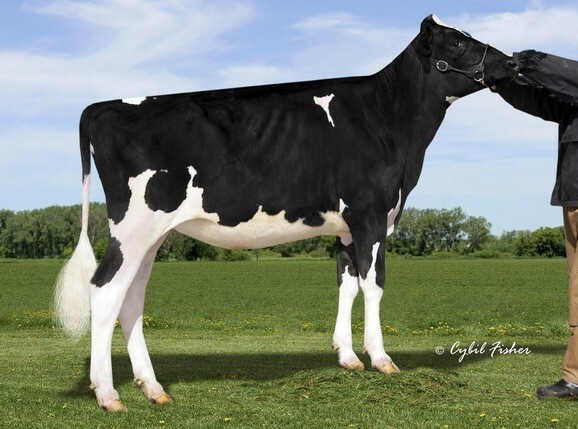 After selling her daughter LOOKOUT PESCE EPIC HUE for $130,000 at the Planet Holstein Sale (Read – The Planet Explodes at World Dairy Expo – 2012 Planet Holstein Sale Recap) Lookout and Pesce are now selling MOM Hue herself. There is no question Hue is becoming a genomic super star as all her daughters are over 3,000 LPI and most are well over their parent averages. Hue herself has DGVs much higher than her parent averages and will certainly command a lot of attention at the sale. For those of you looking for something with a little colour to it, there is MAPEL WOOD EPIC GOLDRUSH. This high genomic red heifer is the #7 GPA LPI R&W heifer in Canada. Her 2yr old dam MORSAN MANOMAN FOOLS GOLD RED recently scored VG and is off to a great record. Goldrush has a great balance between production and type and will be sure to attract lots of attention for those in the Red market. 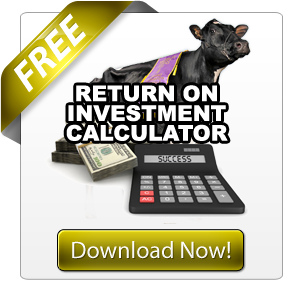 With so many great animals set to sell there are sure to be many great buys. Find the one that is right for you!